The Union Minister for Women and Child Development, Smt. 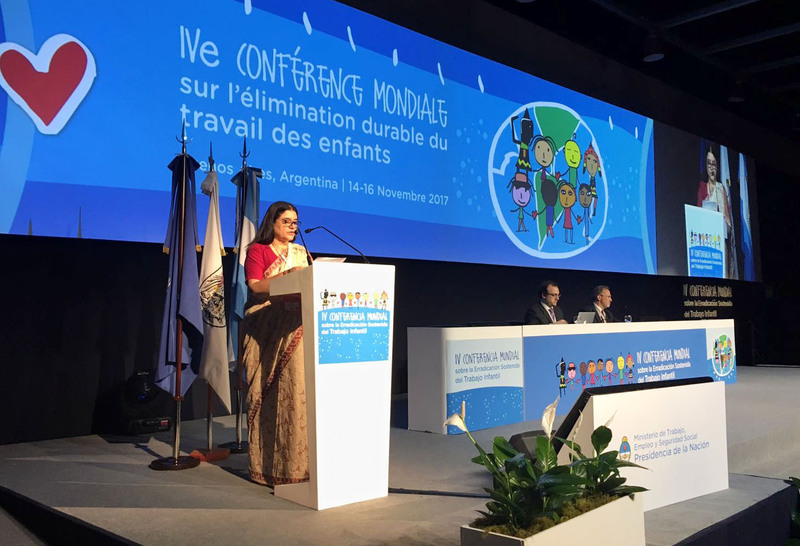 Maneka Sanjay Gandhi makes country statement at the plenary session of 4th Global Conference on Sustained Eradication of Child Labour, at Buenos Aires, Argentina on November 15, 2017. The Minister of Women and Child Development, Smt Maneka Sanjay Gandhi has said that the Government of India is fully committed to continue working to achieve the Sustainable Development Goal 8.7 to eliminate child labour. The Minister was making the country statement at the plenary session of the 4th Global Conference on Sustained Eradication of Child Labour at Buenos Aires in Argentina today. The conference has been organized jointly by Government of Argentina and International Labour Organization (ILO). The country statement brings out the government and national position on the subject of child rights and child labour. Giving details, Smt Maneka Sanjay Gandhi said that India in fully committed towards the prevention, reduction and eventual elimination of child labour through policy & legislation reforms, stable economic growth, respect for labour standards, universal education and social protection initiatives. The most comprehensive step taken by the Government of India is the amendment in the Child Labour Act of 1986, the Minister said. This amendment prohibits employment of children below the age of 14 in any occupation whatsoever. It also prohibits the employment of children in the age group of 14 – 18 years in any hazards occupation. Smt Maneka Gandhi further explained that the Juvenile Justice (Care and Protection of Children) Act, 2015 treats child labourers as “children in need of care and protection” and empowers the district level Child Welfare Committees to ensure their overall welfare.  The WCD Minister said that the National Food Security Act 2013 and Mahatama Gandhi National Rural Employment Guaranty Act 2005 are two other critical legislations which provide a safety network to vulnerable communities and play a pivotal role in the prevention of child labour and are world’s biggest social protection measures ever taken by any nation. The WCD Minister also highlighted the role played by Child helpline (Childline-1098) which is the world’s biggest facility for rescue of children in distressed situation. Smt Maneka Sanjay Gandhi disclosed that to prevent commercial sexual exploitation of children, the government of India is in the process of bringing a new legislation on trafficking which focuses not only on the punitive measures but also on prevention, rehabilitation and reintegration of trafficked person. She congratulated the Government of Argentina and ILO for organizing the conference successfully.